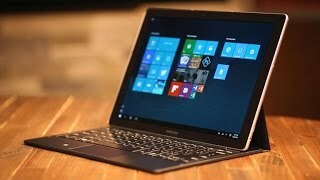 The Galaxy TabPro S is one of the thinnest and lightest Windows tablets you can buy. The tablet's Super AMOLED screen produces bright, vivid colors, at the same time lending energy efficiency to the system. Samsung doesn't charge extra for a keyboard; it's included. 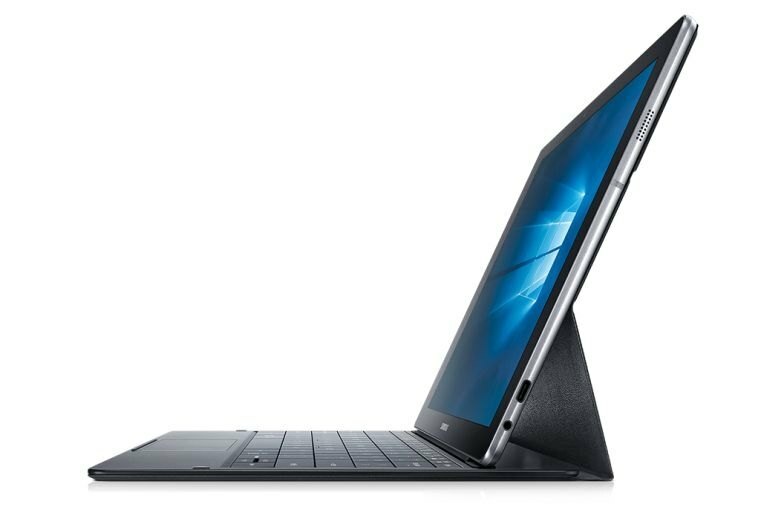 The Intel Core m3-powered Galaxy TabPro S lacks the horsepower of other tablets in its class. The system has just one USB port and no memory expansion slot. The keyboard suffers from some design flaws, including cramped keys and just two viewing angles for the screen. 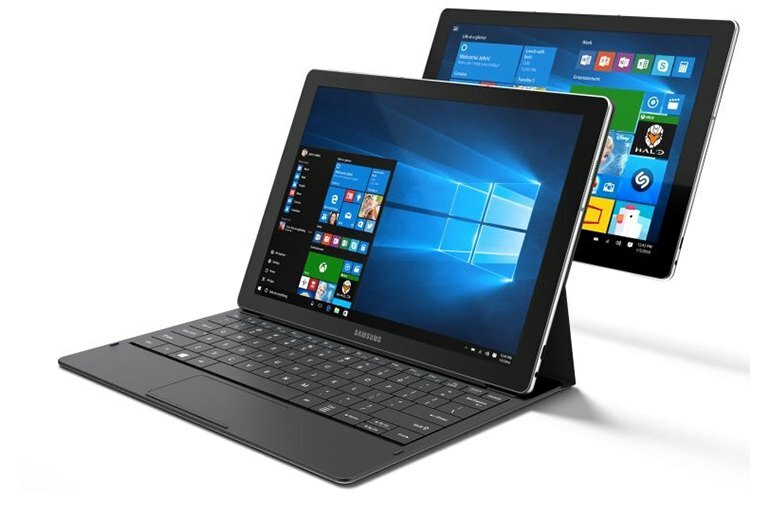 The Samsung Galaxy TabPro S is a 12-inch Windows tablet that comes bundled with a detachable keyboard. 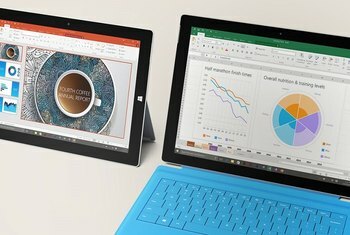 It's a direct competitor to Apple's iPad Pro and Microsoft's Surface, but with a few key advantages over both. However, the keyboard is not without its quirks. The only specification that concerned me when I saw the list is the 4GB of RAM. It turns out that the computer performed well, even when I threw some engineering apps at it, watched movies, and played games. 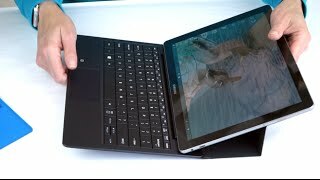 I’ve spent a lot of words on the TabPro S keyboard and that’s for a reason: if you’re going to pitch a tablet as a productivity device, it needs to have a good keyboard. The TabPro S keyboard is good. 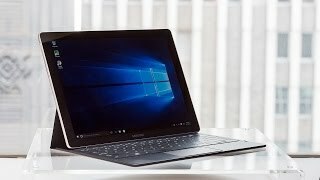 Despite its quirks, I can’t help but like the Galaxy TabPro S. Its light, sleek design make it one of the prettiest Windows tablets around, and the keyboard – while not as good as the Microsoft Type Cover 4 – is more than adequate for basic office tasks. 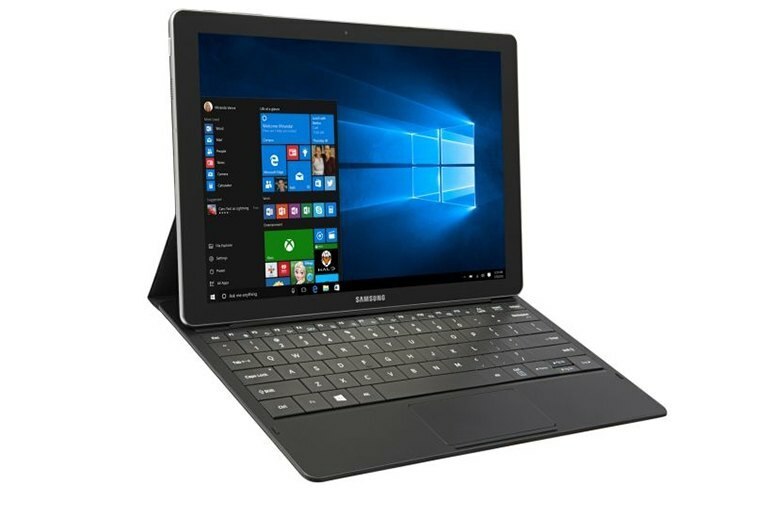 The Samsung Galaxy TabPro S doesn't do everything right, but its few missteps are in service of a greater good -- providing a top-notch Windows tablet experience at a reasonable price. The overall value here is excellent, especially considering the advanced display and very long battery life. The rear cover often slips out of alignment easily, causing the tablet to tumble onto its back, and on more than one occasion I had to catch it before crashing onto the floor. You can also forget about using the keyboard while lying back, as the tablet easily peels forward and falls flat on its face. With its thin display and sleek case, the Galaxy TabPro S earns points for style. 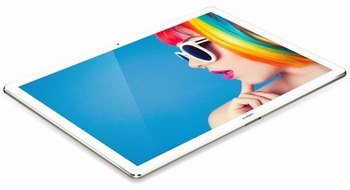 The tablet's polycarbonate body and aluminum edge feel solid and suggest a reliable build quality. Its detachable keyboard is made of a leatherlike material. 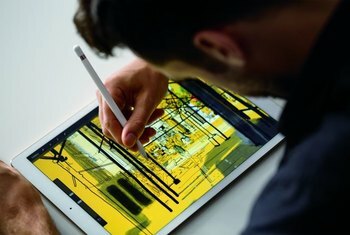 The screen is a standout feature; it's the first Super AMOLED display we've seen on a Windows tablet and has the ability to turn off pixels completely, making blacks deeper and other colors brighter and more vibrant. Samsung generously includes a folding detachable keyboard in the $900 price tag, something most competitors don’t do. 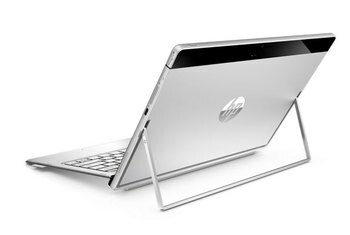 Unfortunately, there are some issues that prevent the keyboard and touchpad from providing the full value that we see on other hybrid machines, like the Surface Pro 4 or even Dell’s Latitude 12 7000 Series 2-in-1. [T]he keyboard is really great. This is coming from a guy who quite seriously wanted to throw the Surface Pro 3 keyboard into the Hudson river. It was my go-to machine several times and I found I was easily able to type on it – not as fast as my mechanical keyboard on my desktop, but that’s asking a lot.